Today’s Peachy deal is a Fancy Pants The Yellow Door Kit. This deal includes a 6×6 paper pad with 24 sheets of paper included (2 sheets each of 12 designs). 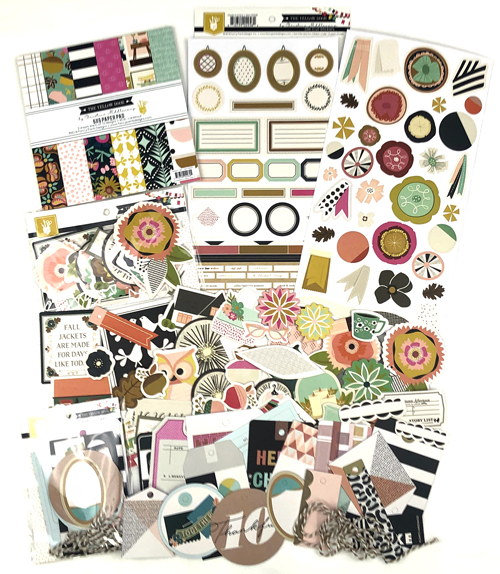 Also included is a set of Ephemera die-cuts with assorted die cut cardstock pieces included in the shapes of leaves, flowers, mugs, owls and more. A set of Tags and Labels with 19 different tags and labels and twine and lastly 2 sheets of cardstock stickers.